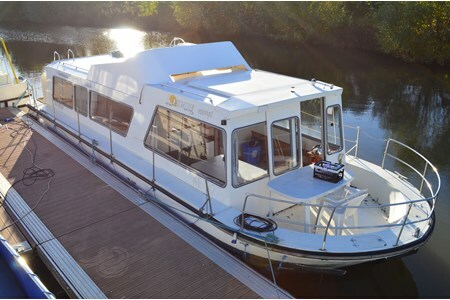 Self-drive boat for from 6 to 8 people. The Espade Concept Fly has a great living room and your whole family or a group of friends will be welcome on board. - Living room convertible into double bed and single bed.